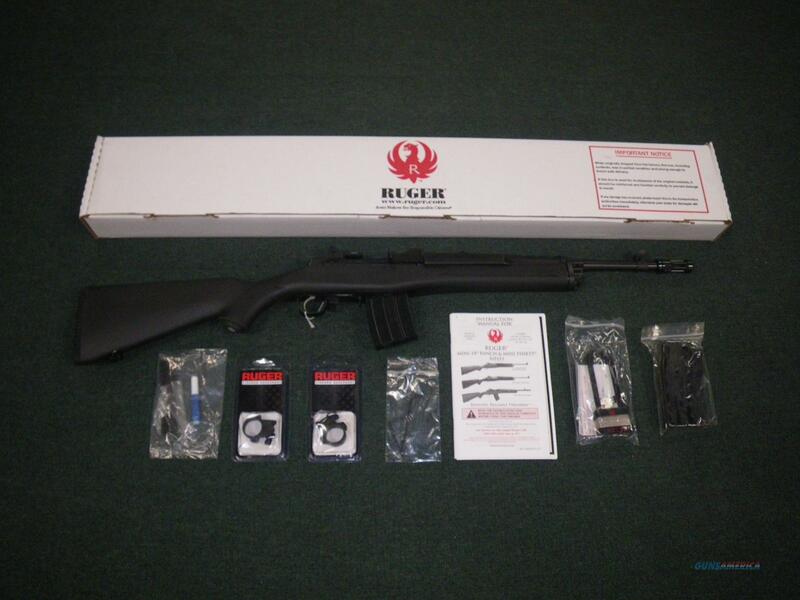 Description: You are bidding on a new Ruger Mini-14 Tactical Rifle in 5.56 Nato/.223 Remington with a 16" barrel. Two magazines, a picatinny rail and scope rings are included. A cold hammer-forged barrel mounted with a 1/2"-28 Thread Factory-Installed flash suppressor results in ultra-precise rifling that provides exceptional accuracy, longevity and easy cleaning. The simple, rugged, Garand-style action with breechbolt locking system, a fixed-piston gas system and self-cleaning moving gas cylinder gives unparalleled reliability under harsh operating conditions. This rifle also has an accurate sighting system with ghost ring adjustable rear aperture sight and a non-glare, protected blade front sight. Displayed images are stock photos. Any questions please feel free to ask (our phone number is in the additional information tab above).